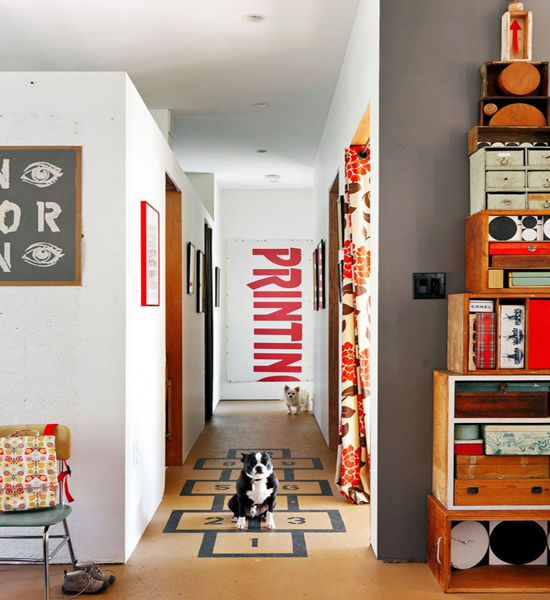 Hallway space is often limited and since walls are routinely left bare, greater attention is paid to flooring. 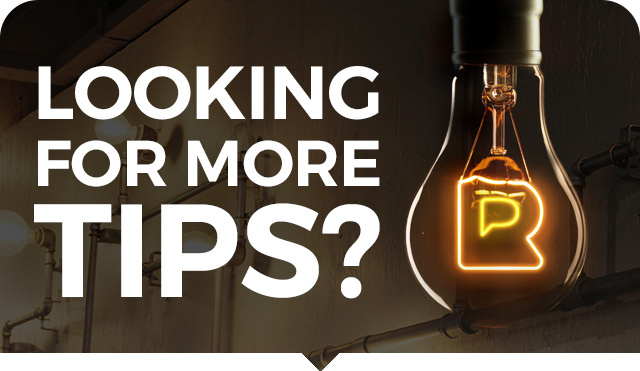 Despite the focus on flooring options, the average household rarely ventures beyond plain, light wood or carpet. Perhaps the following designs will encourage you to unleash your creativity on the ground below! It’s surprising how unique floorboards can look when they lie in an unconventional manner. By alternating the direction of the planks and applying different finishes, this hallway boasts personality. The orange two seater brings out the warmth of the finishes, creating an inviting hallway in what could easily be a cold space thanks to the sheer size of the room. 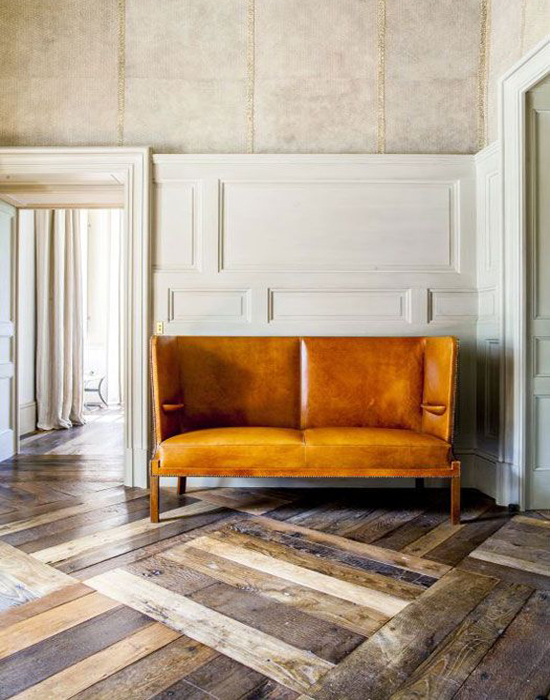 Lending an artistic flair to proceedings, horizontally painted squares over wooden flooring creates a diamond effect which elongates the hallway. By selecting black as the colour of choice and pairing this with brown, white and black accessories (note the chandelier, trunk and framed wall art), the scheme manages to remain understated while going that extra mile. There are no crazy colours fighting for attention, making this an easy look to update and yet the squares are quirky enough to hold their own. If you’re looking for an instant relaxer, look no further than the beach. I can’t imagine this becoming the most popular flooring around, but it would make a perfect entry hall for a beach house. 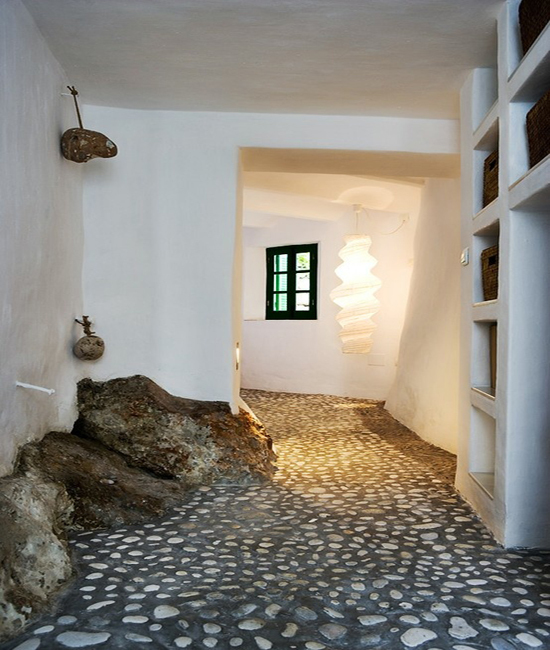 A pebble tiled floor looks all the more authentic when paired with stucco walls and rock formations lined down the left side of the hallway. Paying homage to the best visuals of the outdoors, while managing to remain cosy and warm indoors – what’s not to like? 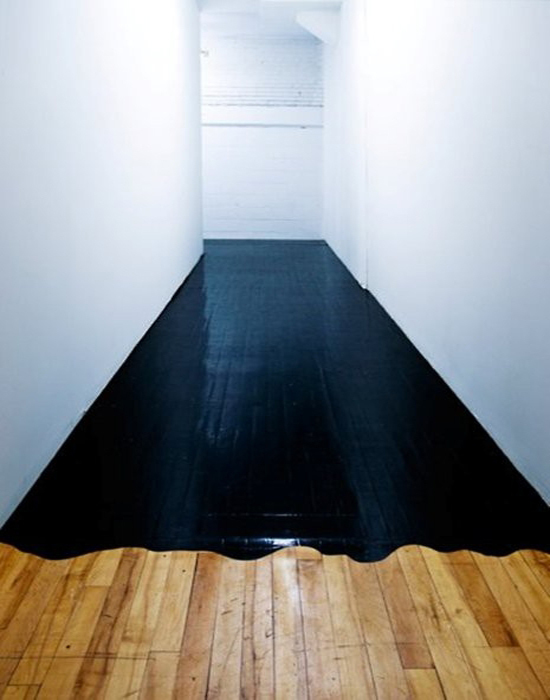 Sufferers of short hallways take note of this inspiring hallway scene. Geometric flooring looks bold enough on its own and coupled with a mirrored fireplace, it’s doubly impressive. You could easily mistake the mirrored reflection for a secret tunnel crawling into the very depths of your home. Very Alice in Wonderland don’t you think? 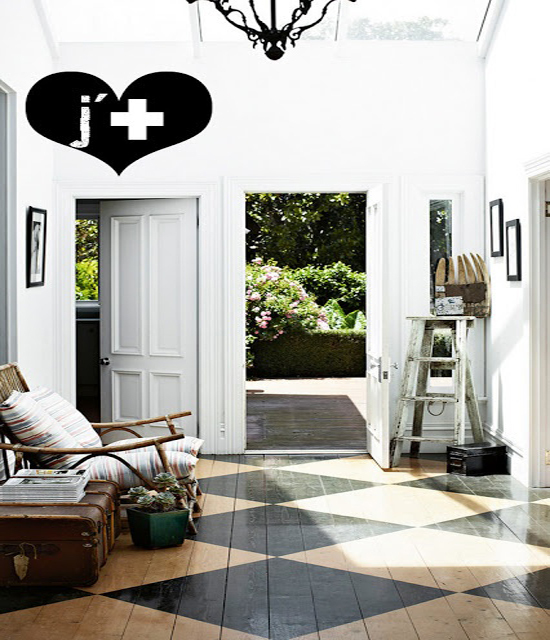 This painted hopscotch adds interest to an otherwise dull laminate floor. It would be great for entertaining small children but it has a bit of a niche appeal. I can see this working well in a trendy shared apartment or in a child’s room rather than in the hallway of your average sized house. It’s a style that has fun and youthful written all over it. Not all flooring has to be natural or engineered wood. Bold florals jump out at you and make an immediate impression as soon as you open the door of this property. 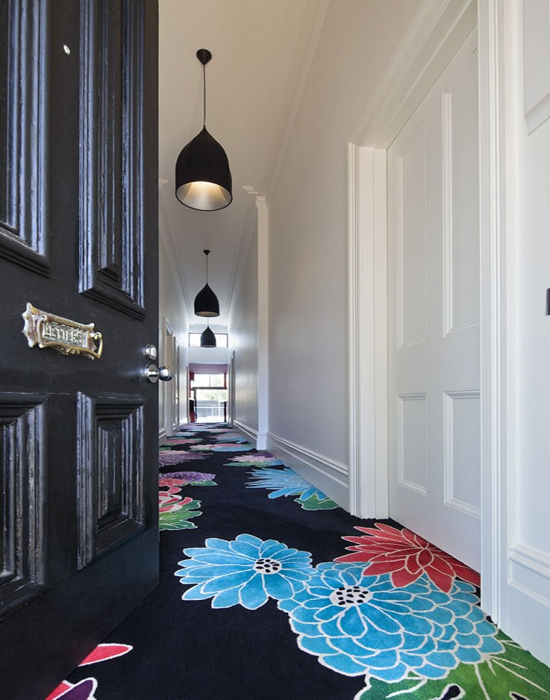 It’s the small details that make this carpeted flooring so effective. The black base colour is sensible in keeping with the classy, upmarket look that the front door promises. Notice that the outline of the flowers is white, lifting them off from the floor and establishing a connection with the pure white doors and walls that stretch along the hall. There’s something about glass floors that makes us sit up and pay attention. 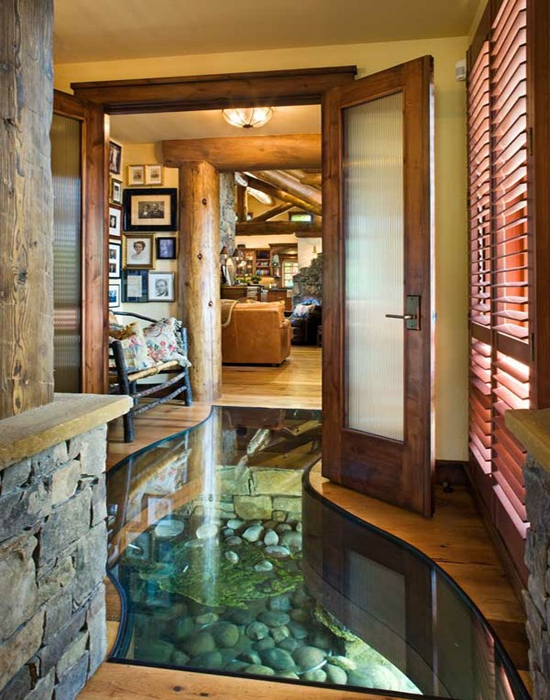 We’re not all fortunate enough to live above a creek but if we were, we’d probably be tempted to incorporate glass into our entry way too. It’s enough to make me want to lift my house and move it to the beach. The rustic look may look humble but in reality, it can be far from cost-effective. 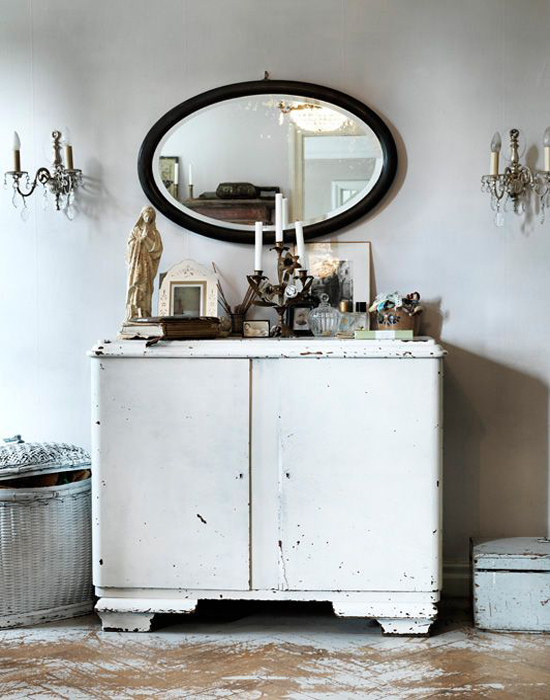 Rather than replace floorboards with a distressed pre-finish, you can save money by painting your floorboards white and scraping them to allow the natural colour of the wood to emerge from underneath. It’s a great look that can hint at history and character in pristine, new-build properties. Hands up, who spilt the oil? This hallway has all the marks of an artist. By being careful to keep the black paint firmly rooted on the floor while neglecting to make the cut off point from the paint and plain wood linear, the finished effect is paradoxical. It’s carefully controlled while managing to bring just the right amount of wild abandon to the scene. Which of these nine looks is your favourite? Let us know by commenting below or getting in touch on Twitter. 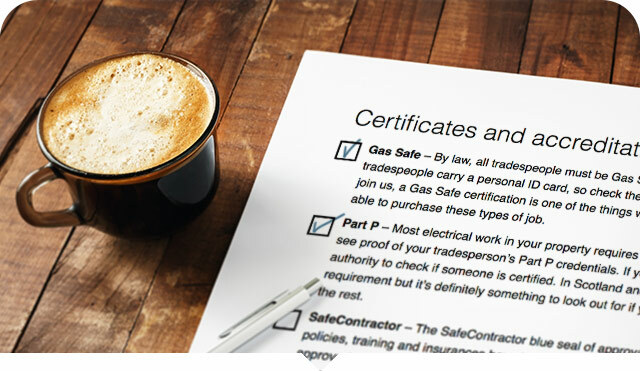 If you’re looking for a flooring specialist or painter and decorator to help you liven up your hallway, post your job and up to three tradesmen will get in touch to quote.You’ll be able to view their profile pages to help you decide which tradesman is right for you. Love the geometric hall floor reflected within the fire recess.